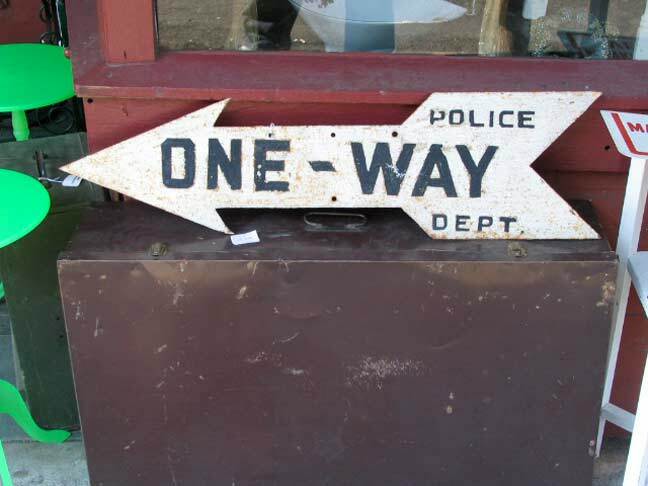 I was clattering around in Bayside in 2007 when I spotted this one-way sign outside a thrift shop. I didn’t buy it, but I shot it. I’m not sure when NYC decided to start converting streets to one way traffic. Signs making one-way streets don’t seem to appear in old photos until the Roaring Twenties, and for several decades they looked like this, an actual die cut arrow, painted white with black letters, and bearing the “Police Dept.” signature. When I first became conscious about street infrastructure, there were still quite a few of these on lampposts and other poles. I didn’t carry a camera everyday till I was around 40, so I never snapped any of them, but photos of them turn up on my One Way Evolution page from the Dawn of FNY. 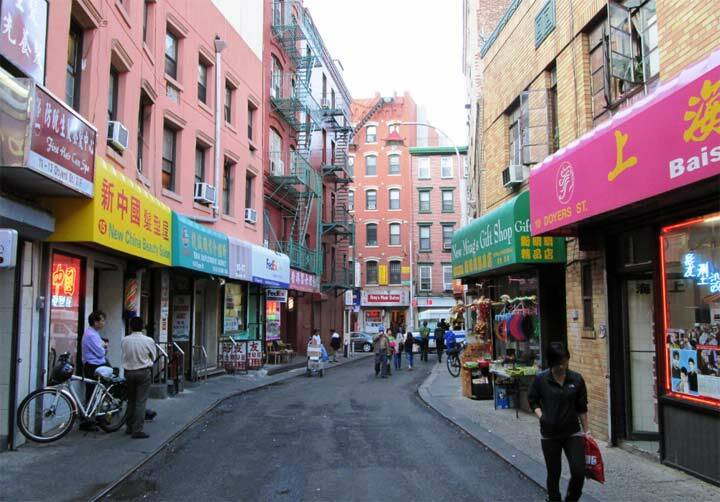 In the 1960s, they were supplanted by a different shape arrow sign, and both of these signs are now rare as hen’s teeth on NYC streets these days, though I do know where a couple of them are, though they’ve been painted over and the Department of Transportation is unaware they are there! The last time I saw the original arrow-shaped signs anywhere I was bicycling in the Gowanus Canal backwater sometime in the mid-1970s and they were paired up on several poles there. Long gone of course. 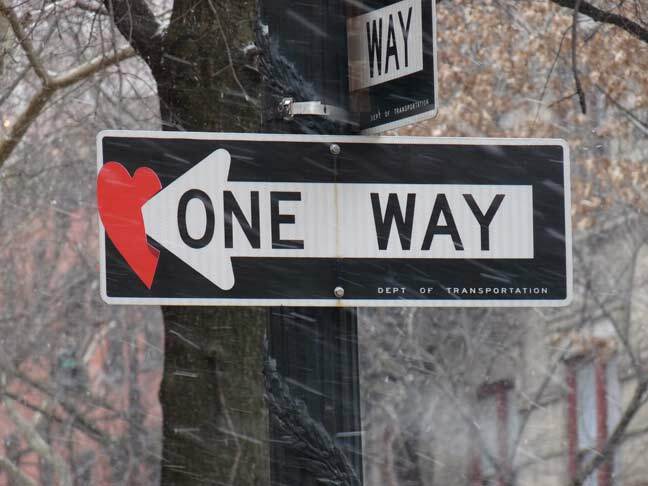 The current version of the One Way sign has been in use since the 1970s. Without the heart.